Our trained engineers can support your equipment life cycle: maintaining, repairing, calibrating and even replacing your current equipment. C&M Scientific Ltd is a leader in onsite laboratory engineering support. Our highly trained engineers provide expertise and support for scientific equipment: installation, validation, calibration and ongoing maintenance. We provide a rapid call out service to our clients. We work with scientific, health and academic organisations to keep their research platforms working. Our multi-displinary service and product range combine to provide a complete solution for laboratories across Scotland and the North of England. We help scientists and laboratory professionals stay productive and aligned to accreditation standards. Our product range includes: dispensers, centrifuges, mixers, as well as ultra-low temperature freezers, fermentors, bioreactors, CO2 incubators and shakers. Keep your laboratory running smoothly now, and in the future? We're interested in speaking to you, as we help laboratories: operate to standard, minimise downtime and can supply replacement equipment. Make C&M Scientific Ltd your first call for laboratory calibration services. Take advantage of our accredited status, experience, expertise and wide scope of applied engineering to ensure the accuracy of your equipment and data. C&M Scientific Ltd are ISO 17025 accredited for temperature, centrifuges and time. Check out our current scope of accreditation (UKAS Certification). 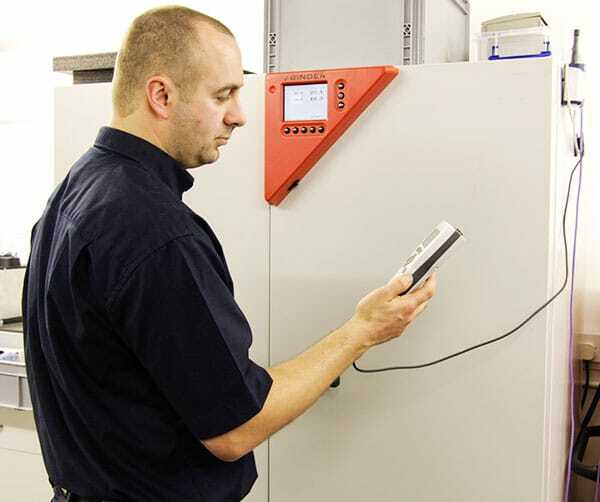 We are able to provide a wide range of calibration services to a high level, ensuring a quick and reliable service. We work with various organisations and laboratories throughout Scotland and the North of England, and invite you to contact us and enquire about your exact specifications or requirements. We understand that accurate results from your laboratory equipment is essential; our validation services, delivered by experienced professionals, can help ensure your laboratory is delivering the most accurate data required by your standards. We can provide you with: Installation Qualification (IQ), Operational Qualification (OQ), Performance Qualification (PQ) and more for your laboratory equipment. Providing laboratory managers with the confidence they demand for laboratory operations. Consider us your one stop shop for when your laboratory is in need of rapid and efficient equipment repair. We cover Scotland and the North of England. 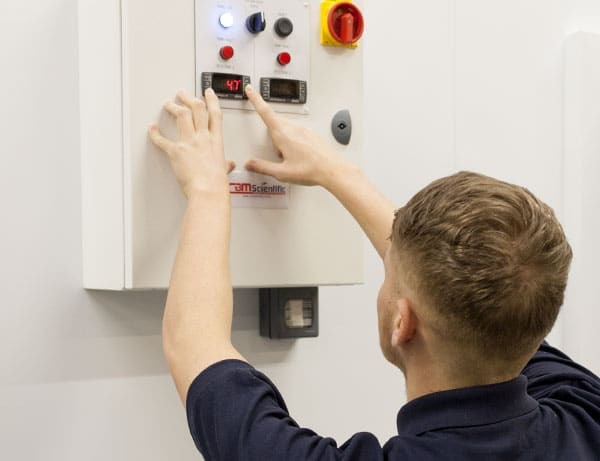 Our highly trained engineers can carry out scheduled maintenance or repairs with contract clients able to receive emergency call out support. 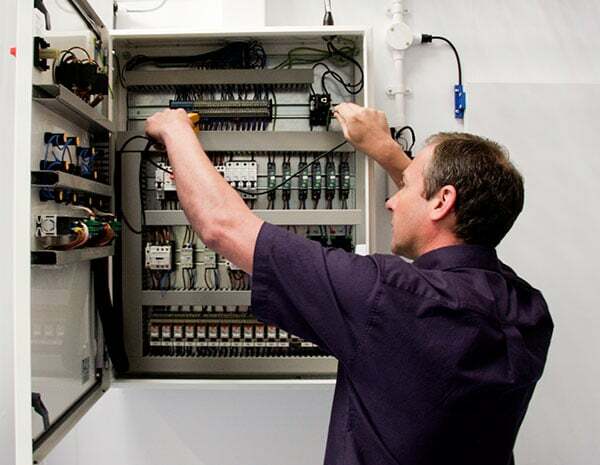 All work can adhere to your installation and calibration requirements. Additionally we can provide replacement components or new equipment as you require. 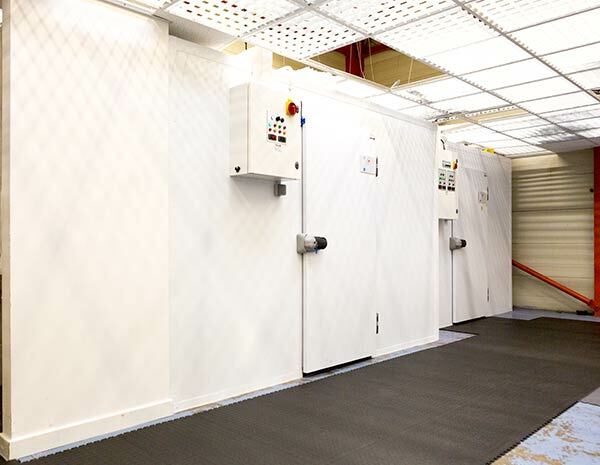 C&M Scientific Ltd can: design, install, validate and maintain all manner of walk-in storage environments. 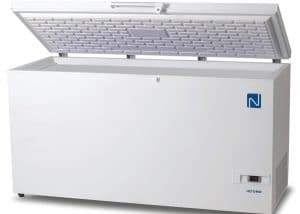 Advance from standalone fridges and freezer and upgrade your laboratory to work with your samples in their environment and not yours. Rooms can be big enough to allow for palletised storage minimising handling or allowing unpacking to be contained in controlled conditions. Search our products page to view our expanding range of equipment. These are presented in partnership with companies of origin to: expand your lab capacity, replace old items or breakdowns quickly and support short-term requirements. We offer a limited selection of products for hire, should your requirements be only for the short to medium term. Get in touch with us to learn more or if you want us to source a specific item. 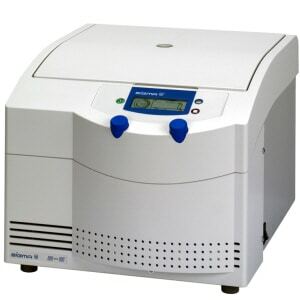 C&M Scientific works with a range of high-quality scientific equipment suppliers. This enables us to offer suitable laboratory equipment which can replace faulty equipment or expand your current capacities. We can also provide a range of equipment for hire, which is useful to cover repairs times. This website has a substantial equipment listing, we suggest you take a look and get in touch if you have any questions or queries. 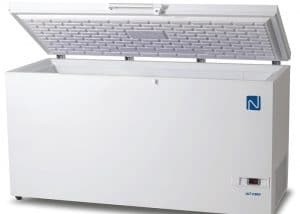 We offer in-house cold and ultra cold sample storage. We have a full rangeof temperature controlled storage available including 2-8oC, -20oC and -70oC plus Ln2 liquid and vapour phase. Bespoke temperatures available with secured access to your samples and electronic temperature logs are provided. C&M Scientific Ltd is ISO 9001, ISO 14001 and ISO 17025 accredited. You can trust us to work with you in supporting your laboratory in an open and trust worthy professional manner. Put our experience and expertise to use in supporting the calibration and validation of your laboratory functions. When regulatory, validation or calibration issues arise, invite our expertise into your organisation or laboratory by using our consultation services. We provide a solid grounding in the necessary requirements for instrumentation in critical adherence to laboratory operations. We welcome your enquiries and enjoy answering your questions.